Joakim Tinderholt from Oslo, Norway has a very firm grip on American music. If I didn’t tell you, you would swear he’s from the states. His well crafted music takes from blues, R&B, rockabilly, pop, early rock and roll and country. There is no trace of an accent. Joakim’s strong and confident voice and sure fire skills on guitar make this CD a gem. His guitar playing leans heavily towards rockabilly and early rock and roll styles. The musicians he brings along for the ride are top notch. Two were members of The Billy T Band, a band that I reviewed for Blues Blast – William “Bill” Troiani on bass and back up vocals and Hakon Hoye on second guitar and back up vocals. Both are true music icons in Norway. The other additional players add much to the sound. The song selection consists of four band penned and six covers. Blues meets R&B on the Ike Turner song “Trouble Up The Road”. Joakim’s sturdy vocal and confident guitar playing take charge of the tune. The guitar playing here owes more to rockabilly music. The Joakim original “Anything Is Better Than Nothing” is a perfect example of west coast jump blues with both guitarists remaining true to the style. Sax man Kasper Skulleryd Vaernes adds to the vibe. Bo Diddley song and lyric references permeate the tribute to Bo “Jungle Bo”. The band has the Bo Diddley beat down to a “t”. “Farmer John”, a song I know from The Searchers version, owes a lot to The Coasters sound. The song was written and performed by Don And Dewey, but received more fame with the version by The Premiers in the fifties. Joakim nails it here. Fifties style classic R&B is invoked on the sprightly and bouncy “What About Love”. 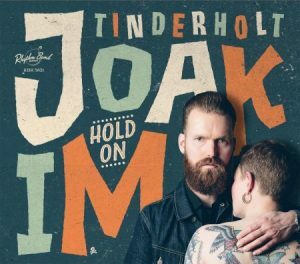 Joakim breaks out rockabilly-meets-country guitar, while Kjell Magne Lauritzen unleashes some “tinkly” piano on “Hold On To Me”. “Sweet Baby Of Mine” finds Joakim delivering energetic vocals on a divine slice of fifties rock and roll. Add “Number 9 Train” to the pantheon of classic train songs. Country-rockabilly guitar here once again. Joakim this style down with confident ease. A good version of Johnny Rivers’ hit ballad “The Poor Of Side Of Town” stands as a good interpretation, but it lacks something without Johnny’s Memphis drawl. The jumpy “I Quit” serves as an appropriate set closer as a nifty fifties style rocker. It’s all here. Great singing, song writing, guitar and great instrumental backing. The bands love of this type of music shows in the care and talent displayed in this release. The only minor quibble is the short length of this CD at barely over thirty minutes, but much great music is presented that you hardly notice the brevity of the album. Music lovers here is a thoroughly enjoyable addition to your collection.